Click here for the little “Quiz” for the Pastor who studies. There is not an answer sheet to this pastoral quiz. Regularly the quiz is used in conjunction with the shorter quiz on the previous page to candidates who are entering pastoral ministry that are verbally tested. It is also assumed that those “quizzing” the candidate should “know” these answers already as a result of “being” in pastoral ministry already. Thus, there is no reason to have these set in a standard context or answer sheet, and one has not been put together. If you, the reader, decide to put one together, and it is comprehensive enough to post here at APM, I would welcome your aid in completing it for those who desire to further their biblical knowledge. A Quiz For pastors who think they know their bible. You are not allowed to use the Bible or any other Biblical help; nor may you ask the opinion of others, nor in books unless otherwise instructed. The only time the Bible may be used is when it explicitly tells you to read the passage and comment on it. You have 5 days to complete it. Elders are not elders because they are old, they are elders because they know the Bible well. There is a distinction between those who may be good preachers and those who are Pastors/Elders of a church. But even in their humble beginnings, they knew their Bible well. The Shepherd and Bishop of our souls, Jesus Christ: 30 years old. John the Apostle: ? (His age may range from 17-31?? and 31 practical application questions at the end. 1. On a separate sheet, write out all the books of the Bible in order. 2. Who wrote the first five books of the Bible and why? 3. Who did God create in His image? 4. What was the first sin? 5. What did God do for Adam and Eve after they had committed their sin? 6. What was the covenant sign that God made with Noah after He came out of the ark? 7. What was the covenant sign with Abraham in genesis 17? 8. 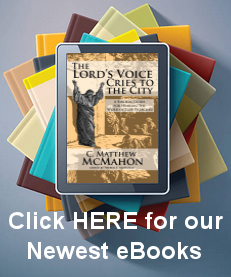 Why was the city of Sodom destroyed? 9. Read Genesis 50:19. What does this verse tell us about sin and about suffering? (Especially God’s involvement in working with the two? 10. Who was the first High Priest Appointed? 11. What was the provision God made for the hungry Israelites in the wilderness? 12. Write out the ten commandments in order? 13. Before the last plague was wrought on Egypt, what “everlasting ordinance” did God instruct Moses to do? 14. What two books of the Bible are the ten commandments written in? 15. What were the three sections of the tabernacle? 16. Which of the following did not belong in the tabernacle? 18. What is the theme of Leviticus in one word? 21. Who is the appointed successor of Moses? 22. Did Moses ever get into the promised land of Canaan? 23. Read Deut. 7:6. What do you think this means? 24. What is the theme of Joshua? 25. Name the two bodies of water that God parted. 26. What was the first city to be destroyed by Joshua’s army? And how did they do it? 27. What covenant did Joshua renew with the Israelites and why? 28. Name four judges from the book of Judges. 29. Read Judges 9:23. How does this change your perception of God–or does it? 30. Why is the book of Ruth important? 31. What nationality was Ruth? 32. What is a Kinsman Redeemer? 33. Why is Ruth herself important? 35. What does the name Ichabod mean, and why is he important? 36. Who was the first king of Israel? 38. What sin did this king commit? why? and at who’s expense? 39. Who was this kings prophet? 40. Who was struck dead because he touched the ark of the covenant? 41. Who succeeded David as king? 42. Read 1 Kings 8:53. What does this mean? 43. What great prophet is introduced in 1 Kings 17? 44. What crooked husband and wife team did battle against this prophet? 45. What happened with this prophet on Mount Carmel? 46. How did this prophet die? 47. Who was his successor? 49. Read 1 Kings 22:19-23. How does this affect your view of God? 50. Who is Namaan and what prophet ministered to him? 52. who was the most evil king, who reigned the longest? 53. What king was the king of prayer? 54. Why did God exile Judah and when? 55. 1 Chronicles records for us–what? 55. What did Solomon ask for as a gift from God? 56. Who built the 1st temple? 57. What is Religious Syncretism? 59. During what young king’s reign was the book of the law found. 60. What godly scribe has a book of the Bible named after him? 61. King____________was moved by God to have the temple rebuilt. 62. Who was king Artexerxes? and why was he important? 63. In the book of Ezra, what sin is dealt with in the last two chapters, and why is it a great sin? 64. Who was appointed to rebuild the wall of Jerusalem? 65. What book of the OT does not mention God’s name one time? 66. Why is the book of Esther important? 67. Who are the four main characters in the book of Esther? 68. What is the feast of Purim? 69. Who was Job’s adversary? 70. What were the names of Job’s comforters? 71. Were these men comforters? 72. What sufferings did Job endure and why? 73. Read Job 13:15. How does this verse help people deal with trials? 74. Did Job know he would ultimately be saved when he died? why or why not? 75. Read Job 21:30. What does it mean? 76. who offered the best comfort to Job (besides God) in the book? 77. Read Job 42:2. What does this say about the will of God? 78. How many Psalms are there? 79. How are the Psalm, which are men’s prayer and songs to God, be God’s Word to us? 80. What is a Psalm of ascent? 82. What is an imprecatory psalm? 83. What are three examples of prophetic Psalms concerning the Messiah? 84. Read Psalm 10:4. What is this saying? 85. Circle any of the following terms you are familiar with: inverted parallelism, acrostic, hallel psalm, antithetical parallelism, synonymous parallelism, selah. 86. Read Psalm 51:5. What is being expressed here? 87. Read Psalm 65:4. What is being expressed here? 88. What is your favorite Psalm and why? 89. Read Psalm 104:34. What does “meditate” mean? 90. Read Psalm 148:6. What is a decree? 92. Proverbs personifies something as very important. What? 93. What is the beginning of wisdom? 94. Read Proverbs 9:9. What is being expressed here? 95. What is the long Psalm? 96. What do the Psalms tell us concerning using instruments in worship? 97. Read Proverbs 16:4. What is being expressed here? 98. Read Proverbs 21:2. What is being expressed here? 100. What is the theme of the book of Ecclesiastes? 102. What is the key verse to the book of Eccl.? 103. What is the best description of the Song of Songs:? 104. Who are the two main characters in the Song of Songs? 107. Read Isaiah 66:2. What is being expressed here? 108. Read Jeremiah 1:5. What is being expressed here? 109. Read Jer. 9:23-24. What is being expressed here? 110. Where was Jeremiah when he prophesied? 111. Name three symbols, or object lessons, used by God for Jeremiah’s understanding a certain judgment or blessing. 112. Read Jeremiah 13:23 and 17:9. What is being expressed here? 113. Was Jeremiah popular? Why or why not? 114. What chapter is the prophecy of the Branch of Righteousness found in Jeremiah? 115. Read Jeremiah 31:15. What is the NT prophecy which is fulfilled from this verse? 116. In Jeremiah chapter _____, the New Covenant is spoken of. 117. Where is the Law written in the New Covenant? 118. Jeremiah was never placed in a dungeon, but just in a cistern. T or F? 119. Nediah was Jeremiah’s scribe. T or F? 120. Why is Lamentations important? 122. What is going on in Ezekiel chapter 1? 123. Where was Ezekiel when he prophesied? 124. Read Ezekiel 34:1-16. What is being expressed here? 125. What is the message behind the valley of dry bones? 126. The last 8 chapters of Ezekiel deal with what? 127. What king captured the Israelites during the time of Daniel? 128. What gift did God give Daniel? 129. What five kingdoms did Daniel prophesy about? 130. Which is the greatest kingdom of the 5? 131. Who was Nebuchadnezzer’s son and why is he important? 132. Daniel was thrown into the lions den and the fiery furnace. T or F.
133. Who were the friends of Daniel? 134. Who is seen in Daniel’s vision of chapter 7? 135. What was the messenger’s name God sent to Daniel after 22 days of prayer? 136. What prophet was instructed to marry a harlot? 137. Read Hosea 6:6. What is being expressed here? 138. What “army” does Joel prophesy about? 139. What well known prophecy is contained in Joel 2? 140. What was Amos’ occupation? 141. Read Amos 3:2. What is being expressed here? 142. What, to who and why did Obadiah prophecy? 143. How long was Jonah in the belly of the great fish? 144. Many people think Jonah was just a fairy tale. Read 2 Kings 14:25. Why does this help us? 145. Who did Jonah prophesy against? 146. How does the book of Jonah end? Why? 148. What is contained in Micah 5? 149. Who did Nahum prophecy against? 151. Zephaniah prophesied about many countries. Which country was he most concerned about? 153. Who had a vision of the High Priest being ridiculed by Satan? 155. Malachi chapter 3 prophesies about John the Baptist. T or F.
156. Where are people robbing God in the book of Malachi? 160. Name 5 of the 9 characters in the birth narratives of Christ. 161. How many Magi were there? (After you answer the question, look it up and find out). 162. What was Jesus’ home town? 163. Why did John Baptize Jesus? 164. Where did Jesus get his human nature from? 165. Who forced Jesus to go into the wilderness to be tempted? 166. What book and chapters do we find the sermon on the mount? 167. How many beatitudes are there? 168. What Gentiles did Jesus become amazed at, because he had more faith than Israel? 169. Who are the 12 disciples? 170. What three disciples made the inner-core? 172. What two groups viciously opposed Jesus? 173. Read Matthew 21:22. Is this true, why or why not? 174. Read Matthew 10:34. What is being expressed here? 175. Read Matthew 13:11-15. How does this affect the universality of the Gospel? 176. Jesus fed 5000 and 4000. T or F? 177. What two figures appeared with Jesus during the transfiguration? 178. What is the importance of Matthew 16 and 18 when applying it to the church? 179. Read Matthew 19:17. Is Jesus not Good? What is being expressed here? 180. Read Matthew 22:13-14. What is being expressed here? 181. Are there greater punishments in hell for greater sin? Or is one sin just as bad as another? 182. Skim Matthew 24. What is the context? 183. Did Judas want to betray Christ? Why or why not? 184. Use a verse from Matthew’s gospel which proves the Trinity. 185. What is the purpose of a parable? 186. Jesus cast out demons (Mark 5), can we? Why or why not? 187. Use the Gospel of Mark and prove the doctrine of eternal punishment. 188. Read mark 10:26-27. What is being expressed here? 189. What garden was Jesus arrested? 190. What time of day did Jesus die? 191. What disciple (s) were present at the cross? 192. Of the sayings of the cross, what which impacts you the most and why? 193. who did Luke write his Gospel to? 194. Who was John the Baptist’s mother? 195. In Matthew 5 we have a sermon on a mountain, in Luke 6 it is on the plain. Is this a problem with the reliability of the Bible? 196. What woman got up and began household chores after Jesus healed her of a fever? 197. Which disciple walked on water? 198. What is the meaning of the parable of the good Samaritan? 199. …of the Mustard seed? 200. …of the Lost Son? 201. …of the persistent widow? 202. …of the Pharisee and the tax collector? 203. …of the parable of the Minas? 204. …of the wicked vine dressers? 205. What two men tried Jesus? 206. Read Luke 24:45. What is being expressed here? 208. What was Jesus’ first miracle? 209. Read John 3:3. What is being expressed here? 210. Read John 5:21. What is being expressed here? 211. Read John 6:44, 6:65. How does this relate to the unsaved? 212. Read John 10:11-15. What is being expressed here? 213. Read John 15:16. What is being expressed here? 214. Who is the Comforter? Who is the second Comforter? 215. What does the second Comforter do for us according to Jesus? 216. What is the formal prayer Jesus prayed in John 17? 217. Read John 17:9. What is being expressed here? 218. During the crucifixion, name 3 things which were fulfilled from the OT. 219. Why did John write his Gospel? 220. who wrote the book of Acts? 221. What is the overall picture in Acts? 222. What 2 disciples stand out prominently in the book of Acts? 223. What disciple replaced Judas? 224. At Pentecost the 120 disciples spoke in what language? 226. Read Acts 4:27-28. What is being expressed here? 227. Who is chosen to serve in Acts 6? 228. According to Acts 6, what is the biblical role of elders or ministers in the church? 229. What is a martyr? 230. Two people fell dead at Peter’s feet. Who and why? 231. How many missionary journeys did Paul take? 232. Paul was a mentor to what young Pastor (s)? 233. What person did Paul appeal to be tried before? f) just b, c, d.
235. How many NT letters did Paul write? 282. What epistle did Paul write before he died? 283. Jude and 2 Peter have some identical content. T or F? 284. 1, 2, and 3rd John were written by John the apostle. T or F.
285. Who wrote the book of Jude? 286. What 2 epistles were written by brothers of Jesus? 287. Who do you think wrote Hebrews? 288. What is the Apocrypha? 289. What is Apocalyptic literature? 290. Where did John write Revelation from? 292. What lost letter of Paul is mentioned in Colossians? 293. Here are a few discrepancies in the bible. (??) One verse says one things, and another seems to contradict. Read them and explain why they are not contradictions. 294. What NT book had the most difficulty being accepted into the canon? 295. What 3 languages was the Bible written in? 296. In what year did Moses build the ark? 297. Rest a while then go on to the next section. Define the following deviant ideas, most of which have been condemned by the church through church history at one time or another, and others are just passing trends. What are some differences in these movements? This is the section to find out “what you would do” in a situation if someone asked you. 1. Lets say a young woman came to you, who was not saved, and confided in you about her “live-in” boyfriend. They are being illicit. Her parents do not know about it and you know the family. The family is not saved either. What would you say to the girl, and would you say something to the family? 2. Would you marry two non-believers? Why or why not? 3. Use your Bible and prove that Abortion is wrong. But you cannot use texts which say that murder is wrong. 4. Use your Bible and prove Euthanasia is wrong. 5. What would you tell a close Christian friend who wanted to marry an unbeliever? 8. A teen comes to you and asks you about abortion, and if it is wrong. You tell her yes. Then she asks, if abortion is wrong, and its murder, then what about capital punishment? 9. If murder is wrong, why did God command the Israelites, under the leadership of Joshua, to kill the inhabitants of Jericho, including women and children? 10. A person comes to you thinking they have committed the unpardonable sin. they are frantic and scared. What do you tell them? 11. A man come to you for counseling, and asks you to keep what he is about to say between you and him. Do you? Why or why not? What Biblical support (either way) do you give for your answer? 12. A woman tells you her husband is beating her. What is your counsel? 13. A woman comes to you and tells you that her husband says she cannot cut her hair to be too short, since the Bible says “a woman’s long hair is her glory.” What do you tell her? 14. Three teens stop you after church and tell you how awesome “Friday the 13th part 65” was. What do you say? 15. You are rebuked by “Bob” one Sunday morning for having gone to the movies the night before. Bob says movies are worldly and Christians have no business being in the world. What do you say? 16. Your at a friends home who is in trouble with a violent street gang. The street gang knocks at the door and you open it. They ask if the person is there. You know the person may hurt or even maimed from their confrontation. Do you tell them “Yes” or “No” and why? 17. Is gambling a sin? Why? 18. Some people like to smoke marijuana because all of God’s creation is useful for us in the right quantity. What do you say? 19. If the body is the temple of the Holy Spirit for Christians, and people keep telling the Christians community that smoking is a violation of your temple, then what do we do with eating fattening foods? 20. Can elders or deacons be elders or deacons if they have been divorced? 21. Should a woman keep silent in the church as 1 Cor. 14:34 states? 22. Can a woman be a pastor? Why or why not? 23. Another elder invites you to go to his house to play computer games. He starts up the game and you find out it is the game DOOM, or one of the like horror-games. Do you play? Why or why not? 24. A next door neighbor who is not saved invites you to watch a movie. (Let us say you asked what the movie was, but the neighbor wanted to keep it a surprise.) You go over and find out that when the movie starts, it is an adult movie. What do you do? 25. A six year old just found out that his grandma died. He wants to know what “being dead” means. What do you say? 26. A visitor comes to church and approaches you after the service. He claims to be a prophet, and then tells you that you need to improve your life in a variety of ways which he explains, and ends his list by a “Thus says the Lord.” What do you say? 27. During prayer in worship, a visitor begins speaking “in tongues.” As an elder, what do you do? 28. A brother in the congregation does not believe in the deity of the Holy Spirit. He thinks the Holy Spirit is lesser than the Father and Son. And the Son is lesser than the Father. He has been teaching Sunday School for 2 years. What do you do. 29. A 20 year old woman and a 23 year old man come to you say that they have been living together for 3 years in a common law marriage. What do you say? 30. A husband and wife lose a child in a car accident. The child was 4 years old. Using the Scriptures, if they asked you where their child was, what would you say? 31. Bob is not a Christian, and everyone in the church knows this by his lifestyle. He has even told people he did not believe in God. He then dies one day in a plane crash. His wife is a devout Christian. She believes he is in heaven because God is all loving and forgiving. She comes to you to be assured of Bob’s resting place. What do you say?